Christians have a well-deserved reputation as a judgmental group. When you write a Bible blog for Christians you get reminded of this often in reader feedback. I’ve come to learn that anything I share can offend someone. Hello Tim, I am a first time reader of your site. I had come long ago convinced of a “post trib” rapture, as it is known. I am curious, however, as to who have been your mentors. I have not found yet on your site any mention of any Christian brother, or group, which you should have given “honor to whom honor is due”, even with regard to those critical to your conversion. This is not particularly encouraging, even though I agree with most that I have read so far, and also what I have read concerning what you believe. I noticed in your October ’14 speaking engagements that you would have been in Medford, Oregon, the home of the late Jim Mckeever’s Omega Ministries, near where his widow lives now. What an awkward email to read, especially the ending telling me I had visited the town of a dead minister’s widow (when I actually was in Medford, OK not OR). But that’s not the main problem. I cover the main issue with his email in my reply to him. 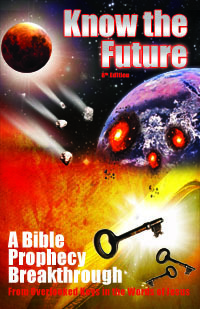 Thanks for reading and congrats on seeing the truth on the rapture. I assure you that one cannot understand prophecy correctly if they have the rapture in the wrong place. If you cannot judge the teaching on my site by its own merit against Scripture like a Berean (Acts 17:11) and need to judge it by me, my history and influences, then my site is probably not for you. My site is for people who evaluate what I have written by Scripture, not for people preoccupied by what is not there. I say this in love and without any hard feelings or judgment. I wish you well in your Bible study. Clearly, running a Bible blog is not a job you should undertake if you have a thin skin! You can and will be judged for everything you can imagine and also things you never imagined, as in the case above. The key is to not take things personally. When you falter in this, ask yourself why a complete stranger was able to get under your skin. Evaluate where you may be weak in faith or love or whatever and pray for help from God. In this way you can become less easily offended with time and act in more perfect love no matter who you are dealing with down the road. It helps to remember also that most of the time when someone is offensive as above, it’s coming from their own hurts, fears or weaknesses. Hurt people hurt people as my wife is fond of saying. In other words, what some people say about you reveals much more about them than it does yourself. That being the case, it is entirely appropriate to not just pray for yourself but to pray for the hurts and healing of the person who offended you. Two New Planets X and Y – End Time Significance? Thank you all, but I’m fine as it did not bother me that the person expressed their viewpoint on what I should do differently. I’m glad they did. Love how the Internet removes people’s inhibitions to being honest and open. We can learn and progress faster that way. Go on with the good work!!! Many blessings! I agree, Judy. Tim & his book have been a blessing to me too. Yes indeed, the ENTIRE bible is true, and one absolutely cannot ever hope to have any understanding of the “New Testament” without reading and FULLY understanding the “Old Testament”. The biggest truth that lets me know for sure that we are at the door, is that 99.99% of “Christians” have been turned aside to fables, false doctrines perpetrated by “Ministers” (in self-naming only), such as yourself. You’ve fooled a great many with your false doctrine of a secret rapture, when The Word Christ makes it very clear that for a very select FEW, they will find a place of safety during the tribulations. Two billion who claim to know The Lord but do not do what he instructs, “Why do you call me Lord, Lord but do not do the things I say?”, will be in for a most severe shock, and you will be held responsible as The Christ tells you, “Depart from me, I never knew you.” The road is narrow and FEW in this age will find it. Billions or even millions are not a FEW by any stretch of the imagination. There will come an age after The Christ’s 1,000 year reign with the FEW that all the rest will be resurrected and have the opportunity to know Him and to submit to Him. Some will indeed refuse, they will be destroyed, “Both root and branch”. Most however will come to The Lord. I pray that you stop tells my fables, and are allowed to gain wisdom and are allowed true understanding. It may be a lost cause, as you’ve already done a tremendous amount of damage, but I shall pray for you nonetheless. “Fear of The Lord is but the beginning of wisdom, a good understanding has he who DOES HIS COMMANDMENTS.” This is not just the well known 10 Commandments, this includes ALL of His laws and statutes. “Truly happy is he WHO DOES HIS COMMANDMENTS.” And take special note of the commandment regarding The Sabbath, very plainly stated to be observed ON THE SEVENTH DAY OF THE WEEK. As stated in His Word, His measure of a day is from sunset to sunset, The Sabbath beginning on Sunset “Friday”, to sunset “Saturday” using the day’s names according to the flawed Gregorian calendar. It is unbelievable to me that the seemingly easiest commandment to keep, The Sabbath, is not. This time appointed by both God and The Word Christ, is already holy. There is nothing one can do to make it “more holy”, we are to KEEP it holy. He set the appointment, we are to keep it and have absolutely NO power to change His appointed times. Not just The Sabbath, but the seven yearly holy days and feasts. How can you not see, in the very book that you claim to know, that these days will be kept even after His return and reign. As it states in “Revelation”, if Egypt does not come to The Feast of Trumpets, they will have no rain. Although I’ve paraphrased, Its right there in plain, easily understood language in the last book. Why can you not see this? Because you have no wisdom in understanding, purposely. You merely have to approach The Word as a child and simply ask Him for wisdom. A word of advice, if you do so, know what it is that you are asking for. He’s said that people very often pray and have no idea what they are really asking for. True wisdom and understanding can weigh very heavily on the soul. Please, I beseech you, even though you have profited mightily from your blatant false works of fiction, I please stop telling fairy tales and fables of a secret “rapture”, so those that listen to you do not suffer even more so at the appointed time. The rapture is in the Bible, and it’s not secret so I don’t teach it is. Jesus taught love not Sabbath keeping. Notice when asked about eternal life’s requirements he left out the Sabbath and other revelation-dependent commands from the Torah (Mt 19:17-19). This make sense because Sabbath was never given to anyone but ancient Israel while love is something we all learn from childhood is the right thing to do.